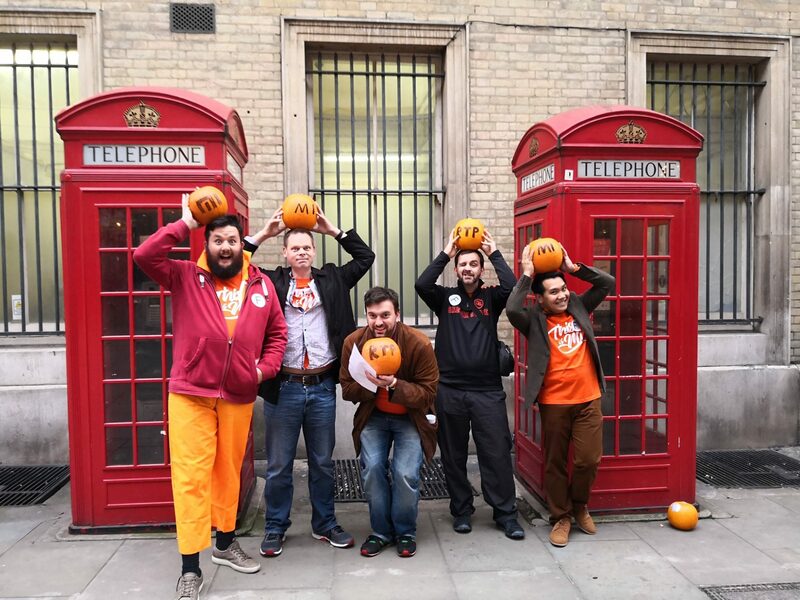 On the 27th of October, I was very fortunate to be invited for Xiaomi’s First ever Halloween party here in the UK! I was very ecstatic as I don’t usually go out for Halloween parties, since when I was a Flight Attendant, I was always away on Halloween and missed out on the best parties here in London. So, thanks to Xiaomi, I finally answered to their invitation! You might be wondering what on earth is Xiaomi?! When I told friends that I was going to attend a Halloween party for Xiaomi, I was getting raised eyebrows or a “What’s that?” question. To answer that question, Xiaomi is one of China’s largest smartphone company. It was founded on the 6th of April 2010, and now, it has grown to be one of the largest smart phone company in Asia, India, Spain, France and Italy. This time, they are making waves here in the UK. Aside from mobile phones, they also have smart watches, power banks, laptops, headphones, electric scooters, to name a few. It was back in 2014 when I First had my Xiaomi smartphone, which is the Note 2 Prime. The First impression I had was the camera quality was superb for such an affordable phone. Back then, I bought the phone for around £150 online. 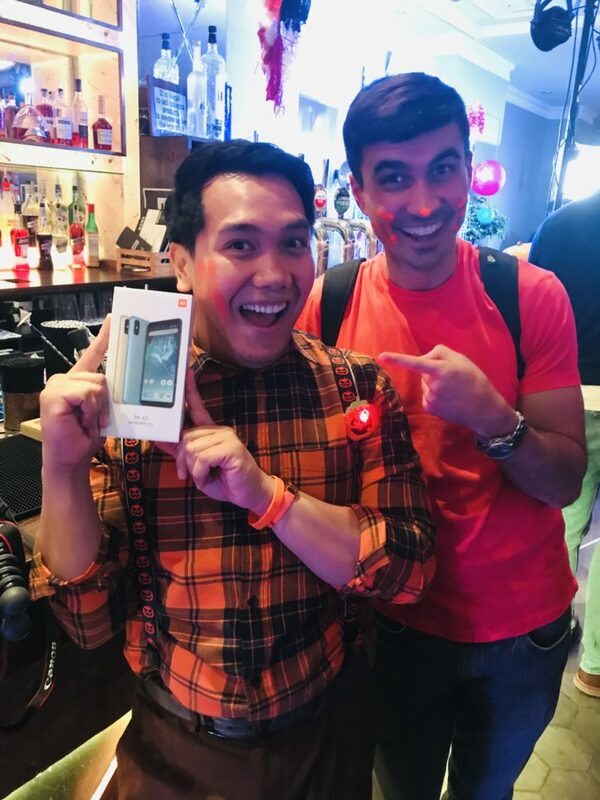 The Sway Bar in London was the venue of Xiaomi’s First ever Halloween party. I went to the party without much expectation, but just to enjoy and hopefully win one of the prizes which is a mobile phone! When I arrived at the venue, I was greeted by a lady in a Xiaomi T-shirt and was handed my very own Orange “This Is Mi” T-shirt, with an Orange wrist band. I was then briefed that I will need to be in a group of 5 for the treasure hunt which is happening outdoors. The venue itself was very cosy, and I’ve heard lots of positive reviews about the Sway Bar. After finding opportunities of meeting fellow Xiaomi fans, the organisers and the Xiaomi team, it was time to join a group for the Treasure hunt, and was part of Team “F.” We were given a map where we need to find the Xiaomi team with the Mi flags and do a series of fun tasks. We also had to chase the 5 performers as they bring a clue for the treasure hunt. 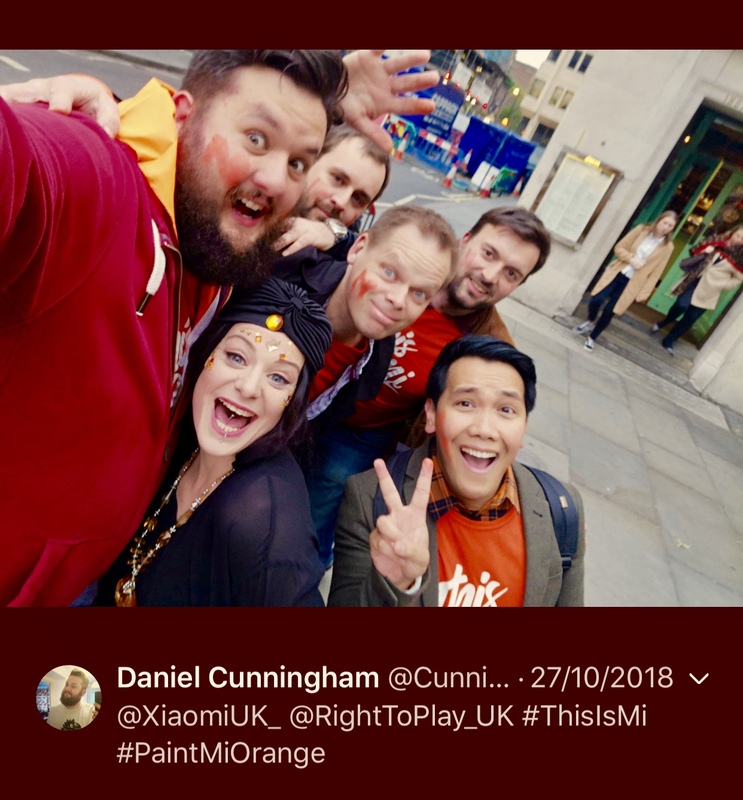 After completing a series of tasks, we then have to take a selfie and to post it on Twitter using the hashtags #ThisIsMi #PaintMiOrange @XiaomiUK_ and @RightToPlay_UK. The treasure hunt ended at the Covent Garden Piazza area and our team ended in 5th place out of 9 teams. The good thing about the Treasure hunt was to support Xiaomi’s chosen charity, Right To Play. 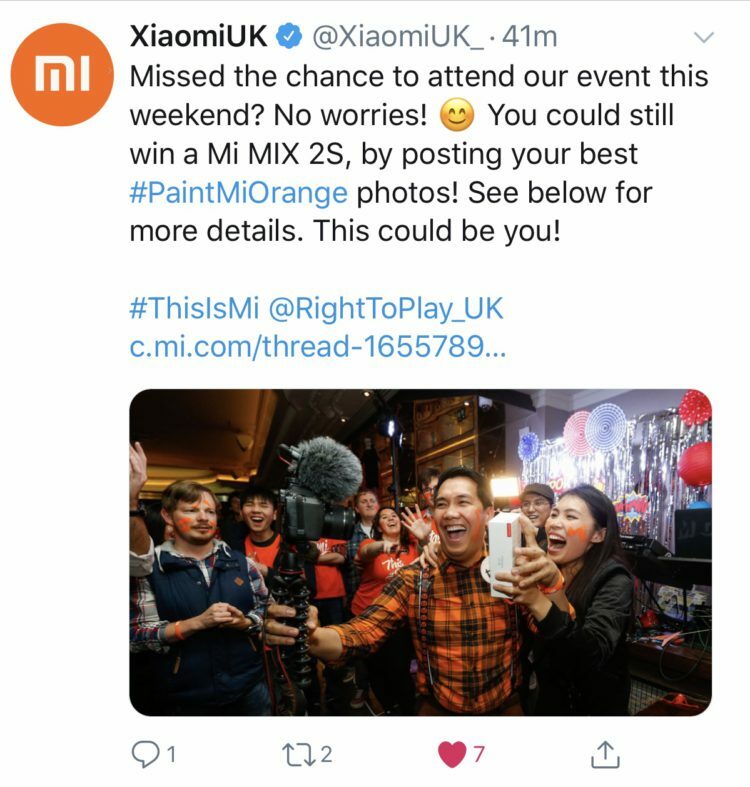 For every post using the hashtags provided to us, Xiaomi donates £10 to Right To Play. We had to find the clues around the area and send a Tweet to Xiaomi! A well deserved cocktails and nibbles back at The Sway Bar was needed after the Treasure hunt where we got the chance to know more about Xiaomi and their chosen charity, Right To Play. After some fun and dancing, they started raffling prizes, such as a Mi Band 3 and a Mi A2 phone! When it was time to raffle the Mi A2 phone, I was praying that they would call my number which is “24,” and Voila! They did!!!! And I was over the moon!!!! I was jumping and screaming for joy! I’ve never won a Smartphone ever and I’ve been joining lots of competitions or raffles! It really made my night complete! 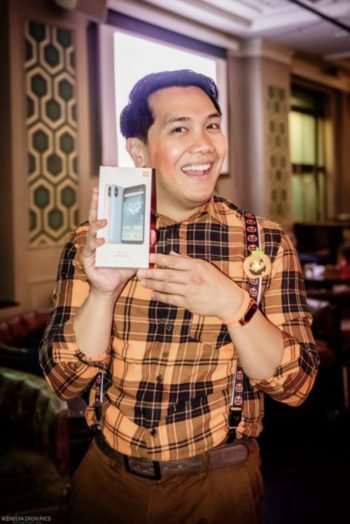 The moment when I won a Xiaomi Mi A2 phone! This evening was one of the best highlights for me in 2018! Not only did I took home a new Mi A2 phone, but I got to meet lots of friends and the people behind Xiaomi! I personally would like to thank Xiaomi for an amazing party and for bringing us Xiaomi fans closer! A massive shout out to Margarita Nelly, who made the effort of contacting us Xiaomi fans for this party! Thank you Margarita! Myself and my Youtube vlogger friend, Pavel! Are you a fan of Xiaomi? Share your thoughts? For Mi A2 phone, Click here. For Mi Band 3 smart watch, Click here. For Mi 8 phone, Click here.